Billie girl has been extra cuddly over the last few days; I've been soaking up every second of all those sweet baby snuggles. Sometimes I wonder if she'll always be this cuddly. I hope she is. Her dad has always been a cuddly kinda guy so it's easy to believe that my sweet Billie girl will be the same way. Billie and all of her cuddles have added a whole lot of extra happiness in my life lately. My little brother graduated from high school!! The last high school graduation I attended was my own (which was five years ago?!) so it was pretty nostalgic to be sitting in the BYU Marriott center during a graduation again. My little bro also just so happened to make it the most exciting graduation I have ever attended. When they announced his name over the speakers he waltzed on out and staged the most hilarious "fall" I've ever seen. He did an awkward sideways flip kind of thing and landed right on his face. The whole place erupted in a fit of laughter (but I was probably laughing the hardest out of everyone). He's hilarious! He leaves on his 2 year LDS mission in just over amonth and I'm already getting emotional about it! He makes me happy. 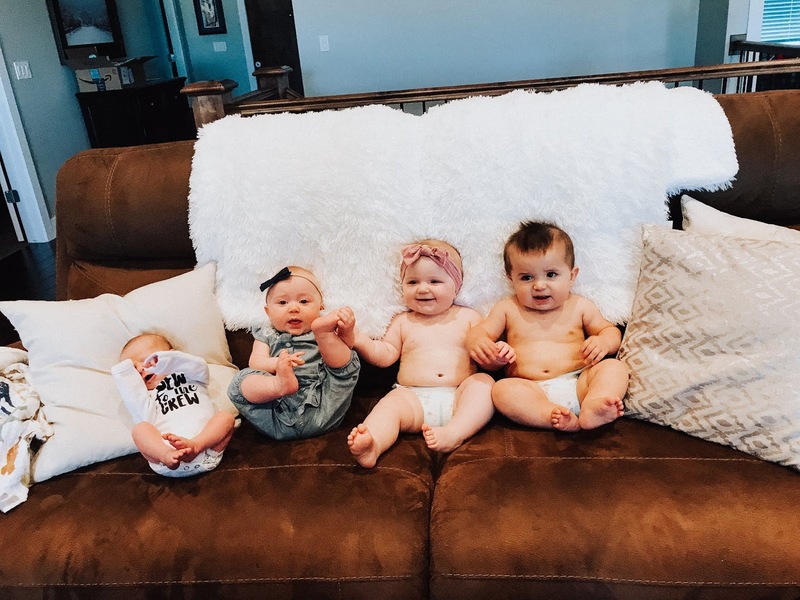 We had a little cousin playdate this week! 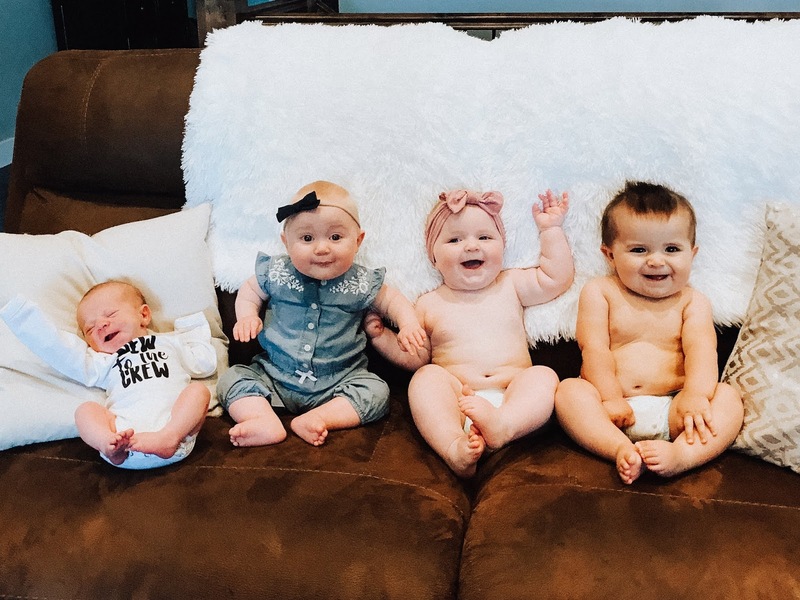 There have been four new babies added to Tay's side of the family in the last year (babies on babies on babies). 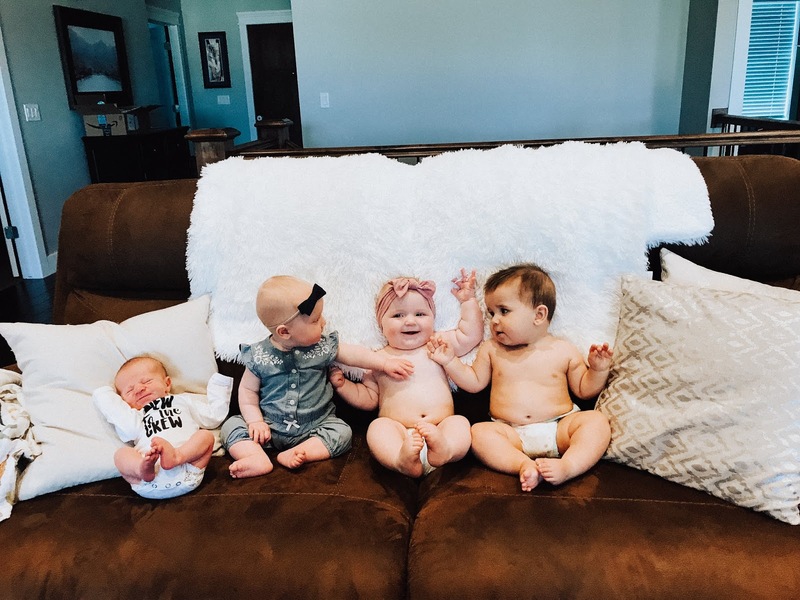 We had all of them together for the very first time and it was pretty freaking adorable. 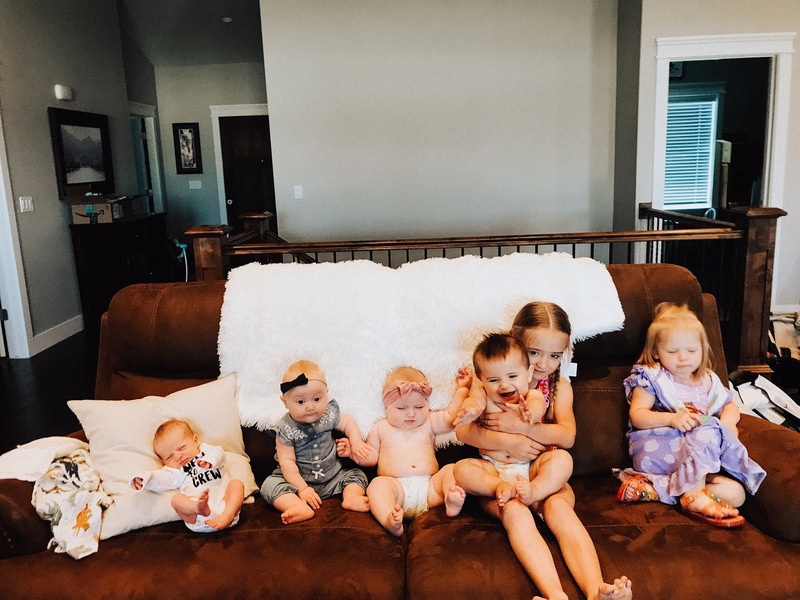 Getting a photo of all of them together proved to be rather difficult (and hilarious). We all had a little potluck lunch together and then headed out to the backyard to enjoy the new splash pad that was recently installed in one of my sister-in-law's backyards (how rad is that???). It was Billie's first real water experience this summer (aside from putting her feet in the ocean for a second when we went to the beach two weeks ago) and she tolerated it. She didn't hate it... but she also didn't love it. We'll take it! I set up a little napping-station for Billie and she actually snuck in a pretty good nap in the middle of all the chaos! It was adorable to look over and see her napping in the little tent next to all the summer activities that were taking place. She's such a versatile, adaptable baby and I'm very grateful for that. It also helps that she freakin' loves her dockatot (we swear by this thing, we're getting good use out of it, that's for sure). We spent several hours out in the sun and I managed to protect Billie enough that she didn't get a sunburn (proud mom moment). That's probably one of the things that stresses me out the most when it comes to Billie being outside during the summer. I don't even know what I'd do if she got a sunburn. BUT this is a happy list so let's just keep focusing on the things that make me happy... like spending time out in the sun with my little babe. This photo of Tay napping after work makes me so happy. Our cat, Fred, was his nap time buddy and meanwhile I kept Billie entertained so that she wouldn't wake up her dad. Being a parent can be rather exhausting (obviously). But that little toothless smile makes all the exhaustion 100% worth it. No doubt about that. We went with a couple of friends up to Heber City (to visit their parent's home) Wednesday night and enjoyed a nice, casual evening full of backyard hangs, great food, and summer sunshine. 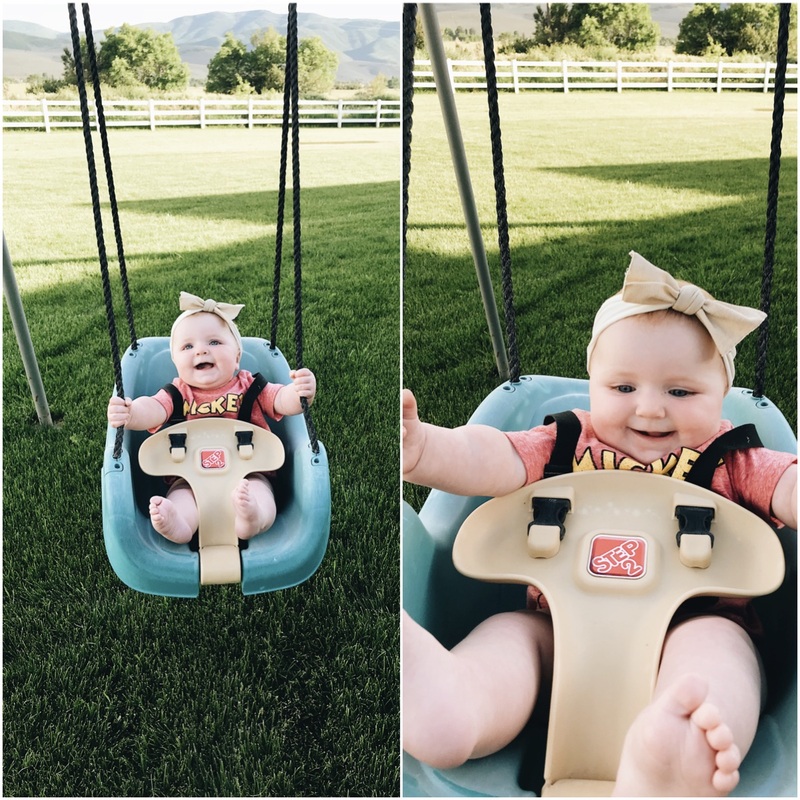 We put Billie in another baby swing and, as expected, she was nothing but smiles. When I tried to take her out of the swing she wouldn't even let me! At one point during the evening Billie was facing Charlie (our friend's baby who is four months old) and they were both making each other laugh. It was so cute that I shed actual tears over it all. Happy tears, of course, but tears nonetheless. I've never been a crier but thanks to pregnancy and motherhood now I'm just a big baby, I guess. We've been all over Utah during the course of the last week or so. Eureka, Salt Lake, Heber City, Midway, every canyon within thirty miles of our home, etc. It's been busy. But Utah is exceptionally beautiful this year and so I really don't have anything to complain about. We live in such a rad state with so many seriously beautiful places to see. I'm grateful for a job that takes me out to all of Utah's beautiful locations on a regular basis. That really is one big perk of photography: you're outside and shooting in beautiful places while meeting beautiful people all summer long. I think it's safe to say that Billie's got a mind of her own. 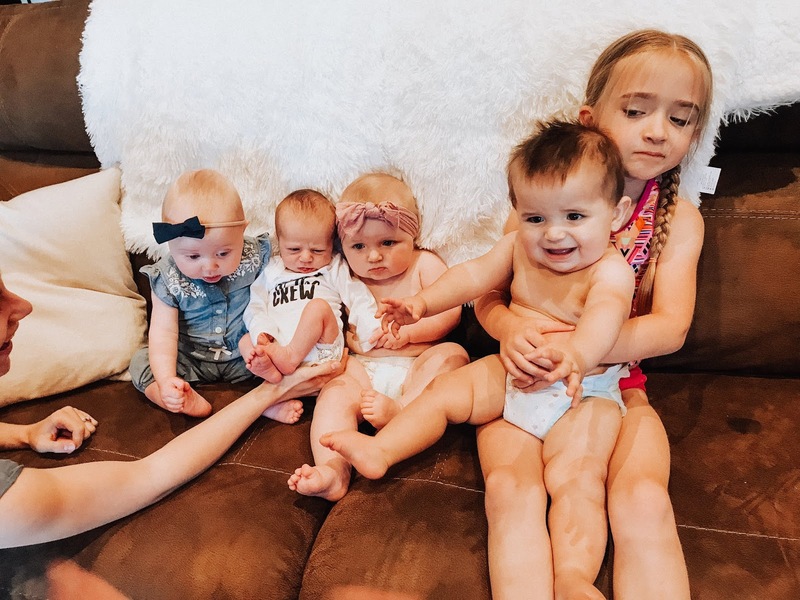 It's neat to look back to her when she was a fresh babe, straight from heaven and compare her sleepy newborn self to the spunky, loud, busy-body she is now. She's always moving and always making noises to ensure that everyone within hearing range acknowledges that she's there. 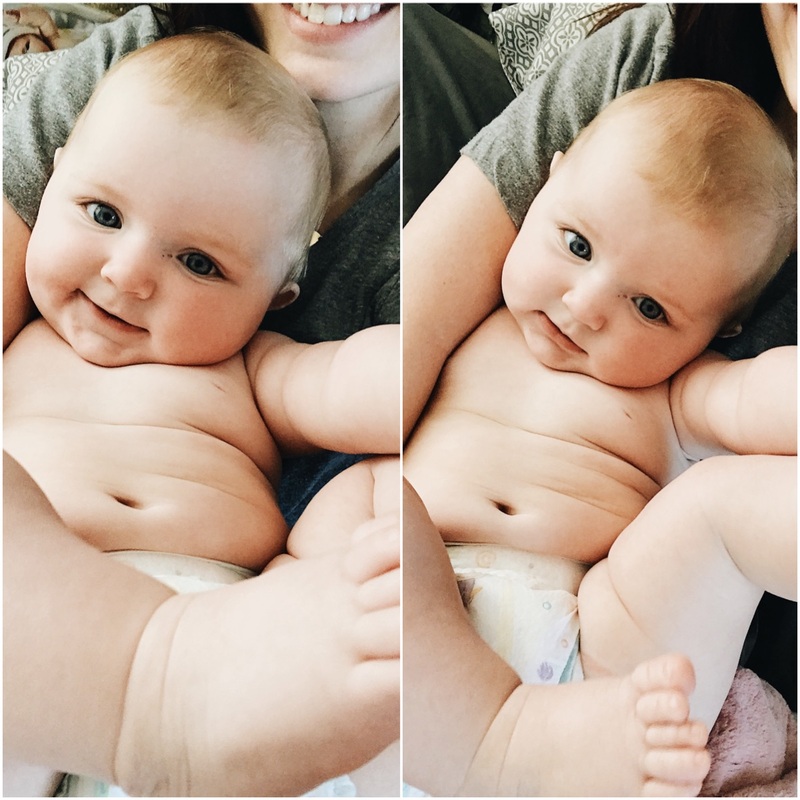 She loves being naked (well, mostly naked, that is). She loves pulling my hair. She loves the cat and the dog. And she loves her mamma! It's been a lot of fun hanging out with her. She's a real hoot and I really love the kid. I've managed to coax Billie to sleep in my arms at least once a day for a nap over the last week. It's my favorite nap of the day, actually. We get all cozy and cuddly on the couch, turn on a movie, and drift off to a sleepy, midday slumber. I often wonder if she'll always be this cuddly... but, given the fact that her father is still a cuddle monster, I think the odds are in our favor. At least, I hope so. When I was younger I remember asking my mom to "snuggle" and climbing into her lap. I loved the way she smelled and I loved the way it felt to be all cuddled up next to her. When I think back to that, it makes me smile and I hope that I'll get to provide similar experiences for Billie Rose. We've been finding all kinds of happiness in the smallest details of our life. Our hearts are full (and our hands are too). It's been fun to be able to sit down and think about some of the things that have put a smile on my face as of late. I think that's why I write these posts in the first place, actually-- to put the focus on the things that make me happy. I believe it's important to acknowledge those things. Focusing on the good welcomes even more happiness into my life! What's made you happy this last week or so?